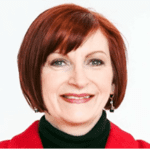 Ann Van Eron, Ph.D. is founder of Potentials, a global coaching and organization development consulting firm with over 30 years experience coaching leaders and working with teams and organizations all over the world. Ann supports people in having open-minded conversations for unparalleled results using her tested OASIS Moves® process. She creates team and organization environments of respect and dialogue that facilitate achieving goals. Clients include Fortune 100 companies, government and nongovernmental organizations, and privately held organizations. She has worked with the UN, the World Bank, Ford Motor Company, New York-Presbyterian Hospital and many more. My uncle, who created many orphanages and was a priest and he influenced many people. Mindfulness has just been a part of my practice to be centered and listening. It's made the difference in my life. I'm naturally a worrier person and so it's helped me to continually grown and develop. Breathing is essential and that's part of OASIS. What happens is when we are in judgment, we contract and then we're holding our breath. So basically breathing and there are many, many kinds of breathing as you know. One simple type of breathing I often give people is just to inhale and fill your belly with air and then count to six as you breathe in and breathe out like through a straw, a count of 12. So that's a very simple example. I remember bullying has been a part of my life when I was young. At the bus stop, they would be race riots, you know, people of different races would be fighting each other. And it always bothered me. Even in high school, I felt like, why did we have these different groups and people feeling like outsiders? People were mean to each other. In high school I just put a sign up that said, hey, do you feel not part of the ‘in crowd, come to room 101'. And I got the biggest club in the whole darn school. And then we started peer counseling. So right away started teaching kids how to get the skills. I went to the college and learned the hotline skills and then we taught people how to listen, how to give empathy. Then I've continued that on in corporations because my work has been, how do we create inclusive environments because people are spending too much energy when they feel they're not included for all kinds of various reasons, their culture, their nationality, their race or size. So I have spent many, many years trying to create cultures of organizations. 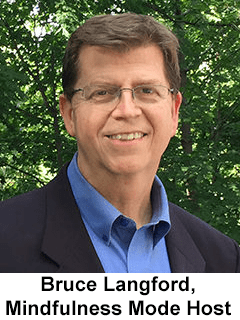 Originally I was counseling and coaching people and I realized why don't we go change the systems because so many people were having problems at work. And they were in. I'm still working on that. How do we change the cultures to create an inclusive environment. People love it when you do it and what it takes is conversations. So what I do now is I bring in leadership teams and there's so much energy expended for people that are feeling like, oh, I'm not included, I'm not valued, people aren't talking to me. So we work with leadership teams. They don't talk to each other either, all these leadership teams. So once we get them creating an environment of, let's be open, let's talk to each other, let's not make each other wrong. This is how humans work. Everyone's probably doing the best they can. Once you open that up and bring in and create that environment, they get aligned to leadership teams and then they want to create that environment and then it extends through the system. So I've had great luck creating these open minded environments. Wanna get better sleep? 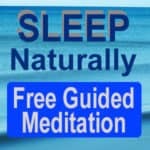 Get the ‘Sleep Naturally' Guided Meditation by Bruce Langford. A deep, easy sleep is yours to enjoy. Sleep naturally and fall asleep easily. Drift off to sleep with a calm, gentle voice. Rest comfortably, without effort.